Mabon is the pagan celebration of the Autumnal Equinox. It is the Pagan Thanksgiving, the Middle Harvest when the fall fruits–apples, pumpkins, winter squash, and field corn for the cattle–are brought in from the fields and orchards. Mabon is one of two days each year when the periods of light and darkness are perfectly balanced. The passage into the year’s dark time has begun, although the summer heat from Lugh and other sun gods will remain in the land for another month, allowing time to complete the final harvest by Samhain. Now is the time to enjoy the remaining mild weather. It is the time to taste the last summer fruits, and to feel invigorated by the sunshine as you look at the early turning leaves on a warm Saturday afternoon. It is the time to embrace and relive the warm remembrances of the past spring and summer. Our duty to confront the darkness at Samhain can wait another month. Let us celebrate Mabon with food, wine, and our companionship. Mabon is considered a minor sabbat in northern climates because, as with the other minor sabbats–the spring equinox and the solstices–its exact date was difficult for the ancients to precisely determine. Mechanical clocks accurate to the nearest minute were invented much later and changes of a minute or two in a day’s length were not apparent. In contrast, the major sabbats of Imbolc, Beltane, Lughnassad, and Samhain occurred after obvious changes in day length and season, so they were celebrated by the ancients before they began celebrating the more subtle changes heralded by the minor sabbats. The standard Wiccan Mabon ritual, if there is such a thing, emphasizes the autumnal harvest and fall colors. In The Spiral Dance, Starhawk suggests that the ritual altar should be decorated with fall fruits, flowers, and grain. Baskets of yarn, seed pods, shells, feathers, and pine cones are also set by the altar. Her Mabon ritual involves a banishing of those things which each member finds negative in his/her life. Living in California, she recommends the performance of weather magick to bring the rains after the long dry summer. Raymond Buckland recommends a red altar cloth and candles in his Complete Book of Witchcraft. Circle decorations include autumn flowers, acorns, gourds, pine cones, and corn sheaves. A bowl of fruit sits on the altar. During the ritual each covener receives a fruit from the bowl and eats it after all are served. Alban Elued is another name for the Autumnal Equinox, according to Ross Nichols in The Book of Druidry. 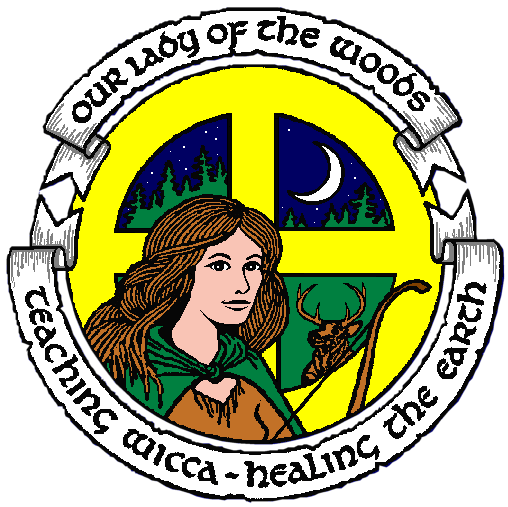 In the Druidic celebration, a lady bears the symbols of the earth’s gifts. Her wheat sheaf symbolizes the fall harvest and also life’s valued experiences. The wine is another symbol of the harvest and also represents old stored wisdom. The god for this celebration is the Dagda, the wise old man, and the goddess is Cerridwen, the Nurse of Seeds. If you are up for some wonderful reading and want to explore the myths associated with the Welsh hero Mabon, reach out for a copy of The Mabinogion and turn to the story of Culhwch and Olwen. Culhwch seeks to marry Olwen, but he must complete several impossible tasks before her father, the Chief Giant Ysbaddaden, will agree to the marriage. One of the tasks is to rescue Mabon. Mabon fab Modron (Divine Son of the Great Mother) was stolen from his mother when he is only three days old; it is not known if he is alive or dead. Mabon is cousin to Arthur (yes, that Arthur) and his skill as a hunter is legendary. The Arthurian champions need Mabon’s hunting prowess to complete the second task, the capture of the wild boar, Twrch Trwyth. The knights set out to find Mabon. It is a long search. They consult many wise beasts, believing each to be the oldest creature: the Ousel of Cilgwr; the Stag of Rhedynfre; the Owl of Cwm Gwlwyd; and the Eagle of Gwernabwy. Each animal refers the party to the next, until the Eagle directs them to consult the great Salmon who dwells in the river Llyn Llyw. Finally, the Salmon, truly the oldest of all creatures, is able to lead them to the prison where Mabon is held. After Mabon is released, the knights pursue the wild boar. While the festival of Mabon is often seen as a fall harvest feast, it is also associated with the Wild Hunt. Wild hunt–themed rituals are often part of pagan celebrations at this festival. Scary Wotan and Herne ride the skies; the humble Stag is hunted and offers his life so that others may live on. It is in the spirit of the hunt of the wild boar that Mabon brings his name to this sabbat. 5. “How Culhwch Won Olwen” in The Mabinogion, trans. by Jeffrey Gantz, Penguin Classics, 1976, pp. 134-176.